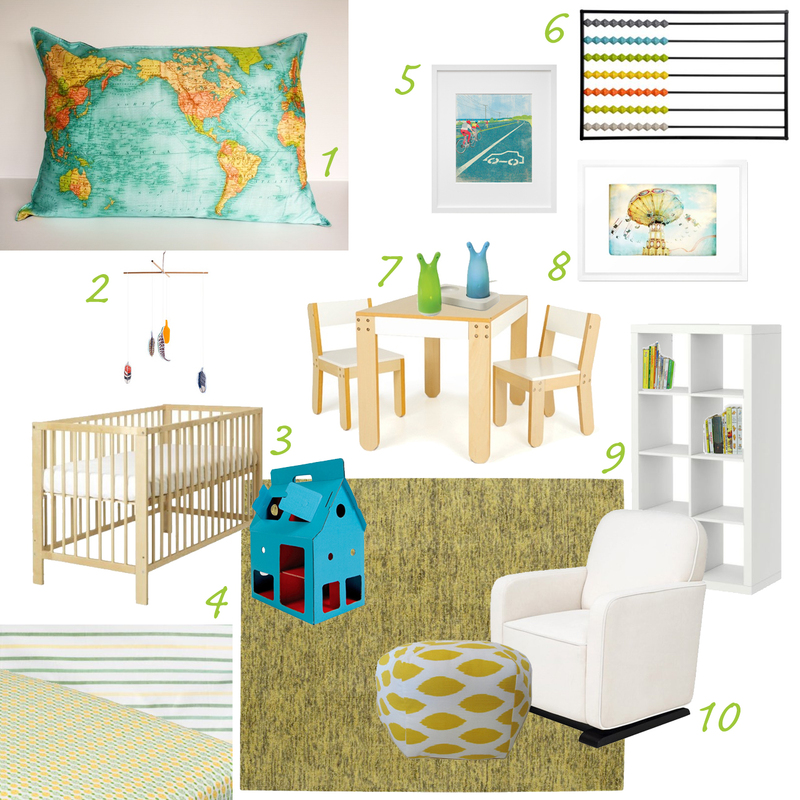 Heidi was inspired by the Map Pillow from My Bearded Pigeon and asked me to come up with a “crisp, fun nursery” based on those colors. I think I found a great selection of vibrant blues and greens to go along with clean natural and crisp white furnishings. I just need your help picking some additional toy storage for this space. Sigh. I don’t even know where to begin here. 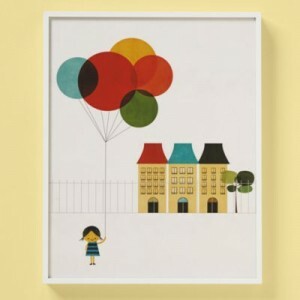 There is so much new and awesome at The Land of Nod (who I’m happy to have as an affiliate partner), that I truly just don’t want you to miss any of it. I’m going to have to summarize and only include my favorites, but only if you promise to go see for yourself. 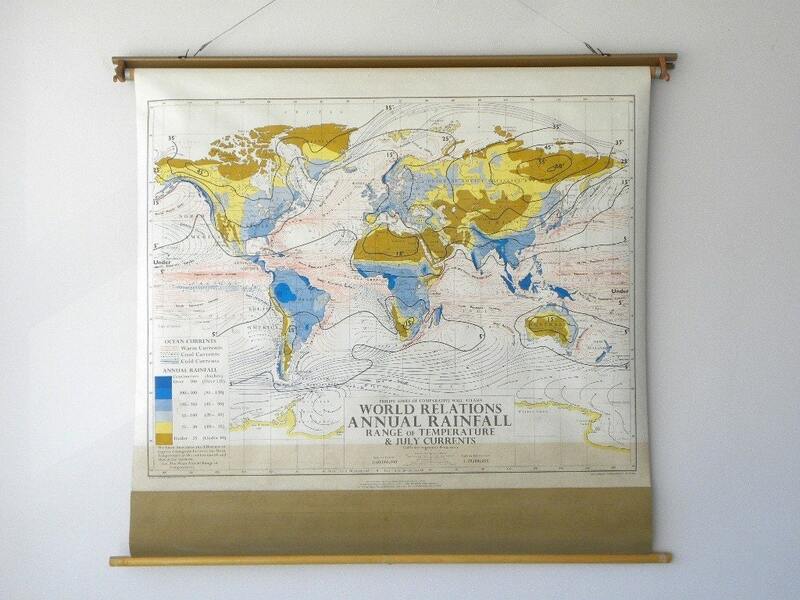 I’ve decided that once we get my youngest into a twin bed, we’re going to add one of these schoolhouse type maps in his room. 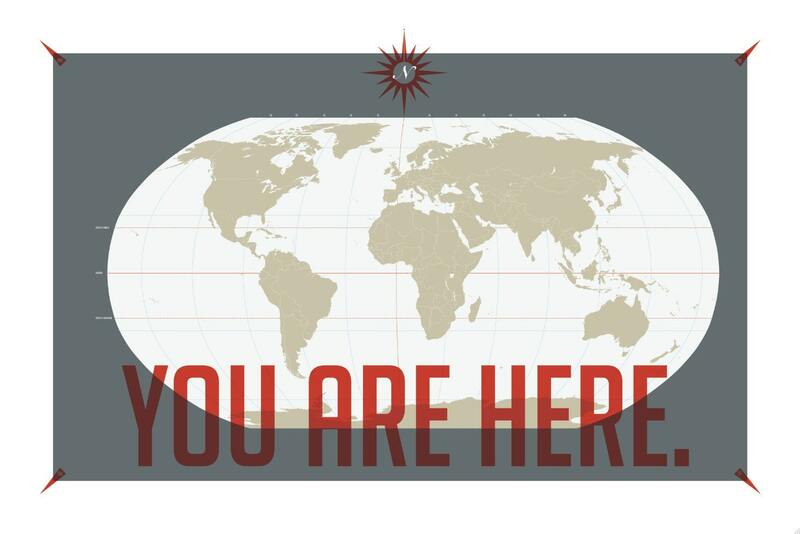 There are several maps to choose from, but I’ve got my eye on “Oh, the Places You’ll Learn”. 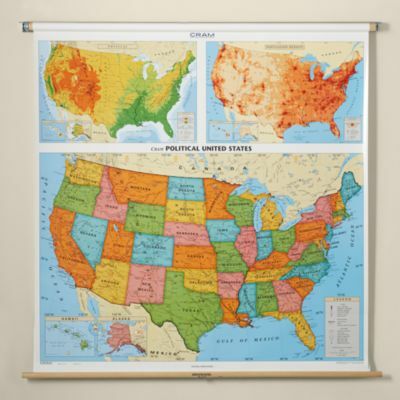 This United States Pull Down Map goes for $249. 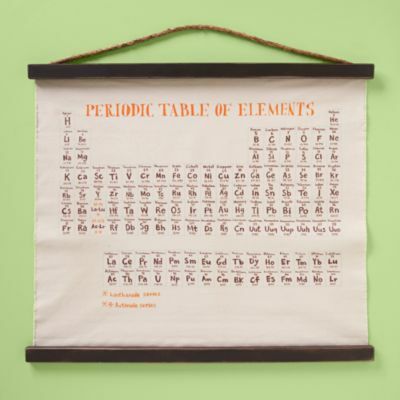 The Periodic Table ($119) may have to go in his older brother’s room at some point as well. 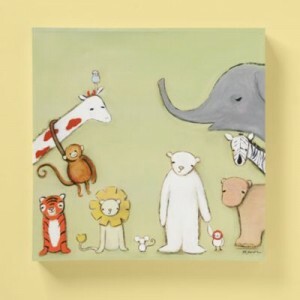 The Land of Nod added some of my favorite etsy artists to their art catalog. 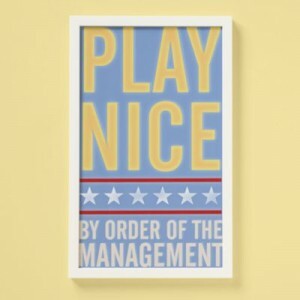 They’ve got a few more John W Golden prints including Share Your Toys and Play Nice . 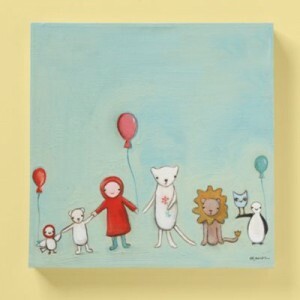 There are two stretched canvases by Marisa Haedike– Keep Your Friends Close and The Buddy System. I also love Got the World On A String and Bumper to Bumper by Blanca Gomez. 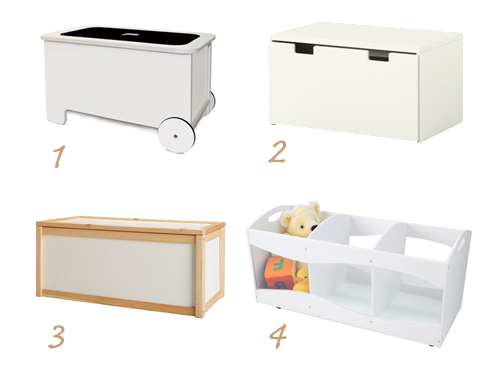 The Land of Nod has some great new crib bedding collections (with the same designs for kids as well). 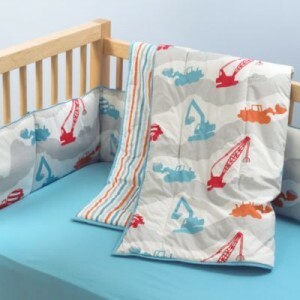 For boys, this Construction Zone crib bedding is super fun. Designed by Winter Water Factory, this 100% organic set is exclusive to The Land of Nod. 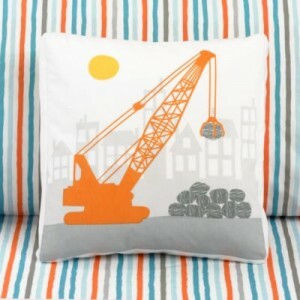 The matching throw pillows like the Digger (shown), cement mixer and bulldozer are great additions as well. The “Wooden Shoes Optional” Crib Bedding Set is a beautiful choice for a baby girl. 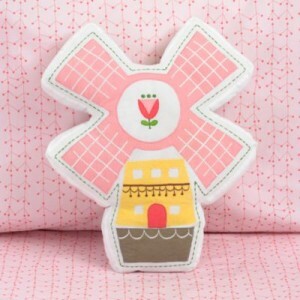 The pillow accessories, like the Girls Windmill Throw Pillow are adorable as well. There’s also a worm, owl and snail. 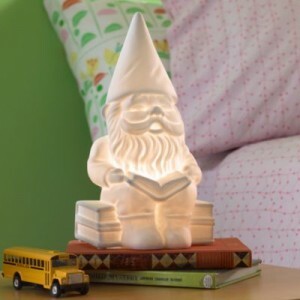 You can never have too many nightlight options so I’m excited that The Land of Nod just added two more to their catalog. 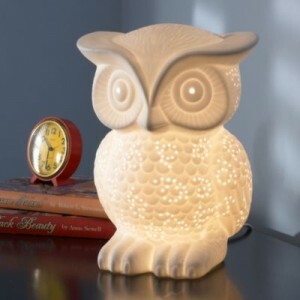 The Gnome Lamp Nightlight and Owl Nightlight are cute room decor items both night and day. I was also really impressed with the catalog’s new format. 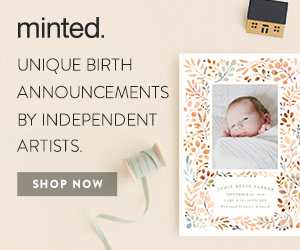 The Land of Nod catalog is always my favorite to look through, and now it’s even better. Have fun shopping! 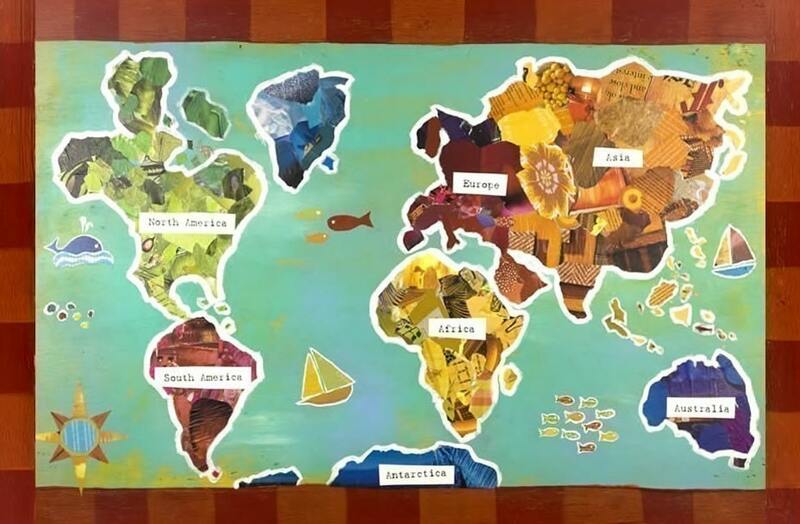 A fresh and lovely etsy find for you today. 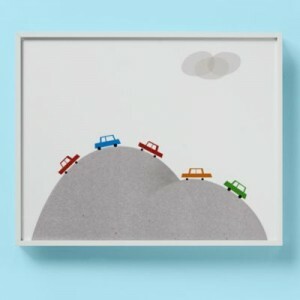 The modern, minimal prints from Finka Studio are sweet enough to inspire an entire nursery design. 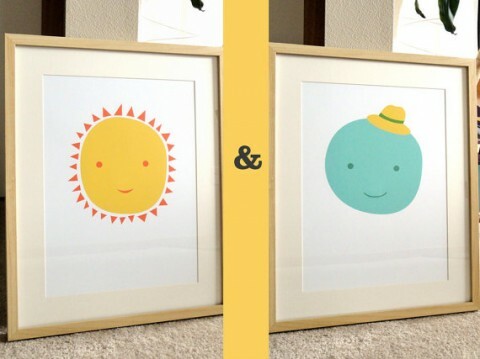 My favorites are the Ms. Sun and Mr. Moon prints ($35 for the pair). 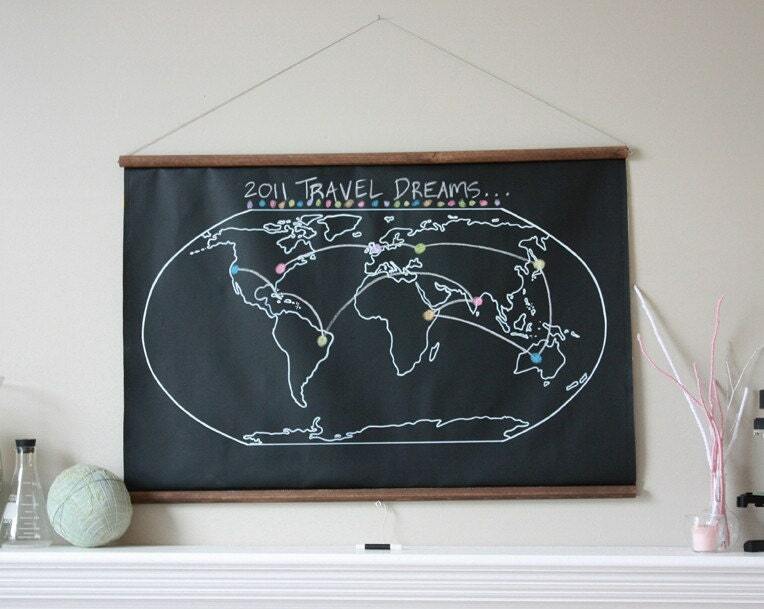 This Travel the World Map is perfectly simple and deserves a place among the other maps in my “World Maps as Decor” post ($35). 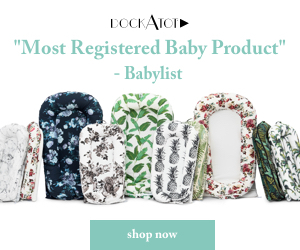 I’ve added Finka Studio to the all new “Featured Etsy Sites” page that you can access from the top left area of the blog. 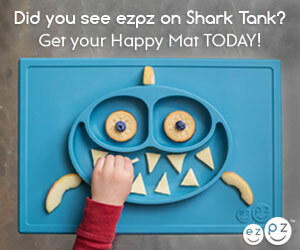 If you’re overwhelmed when visiting etsy, this collection of fun shops is a great place to start! 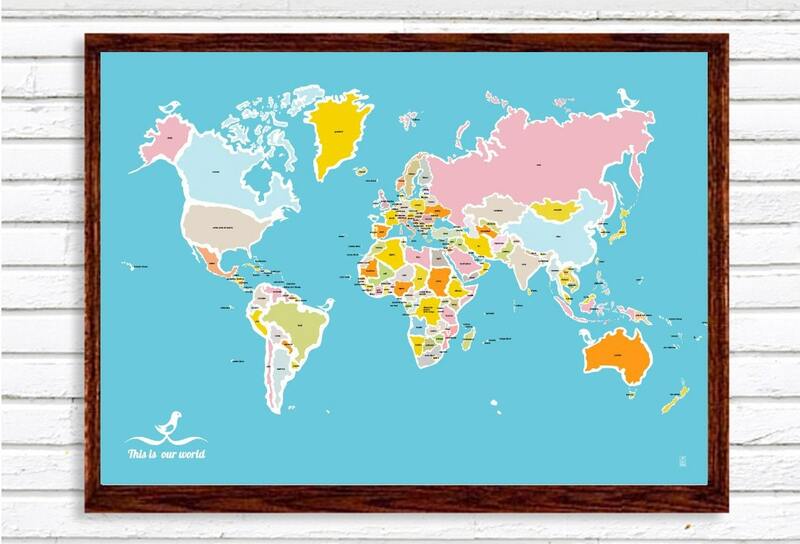 We’ve been talking about using maps as decor lately and since my first map as art post, I’ve found more fun world map selections on etsy. 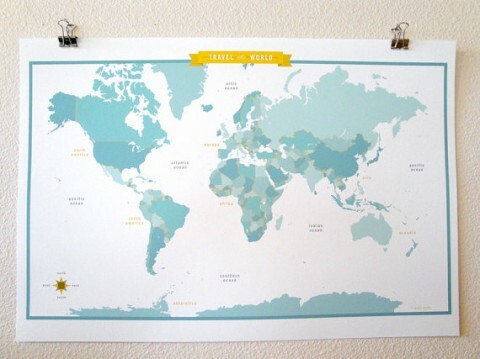 Also try searching for your country or state for more options.